Getting ready for June at the Corner Gallery. I changed my art theme to Abstract at the Corner Gallery, this is what it looks like, I have not printed the name tags for them yet. I will be there Tuesday afternoon 2 to 5, so will get ready for the first Friday Art Walk and make the name tags while at the Gallery. 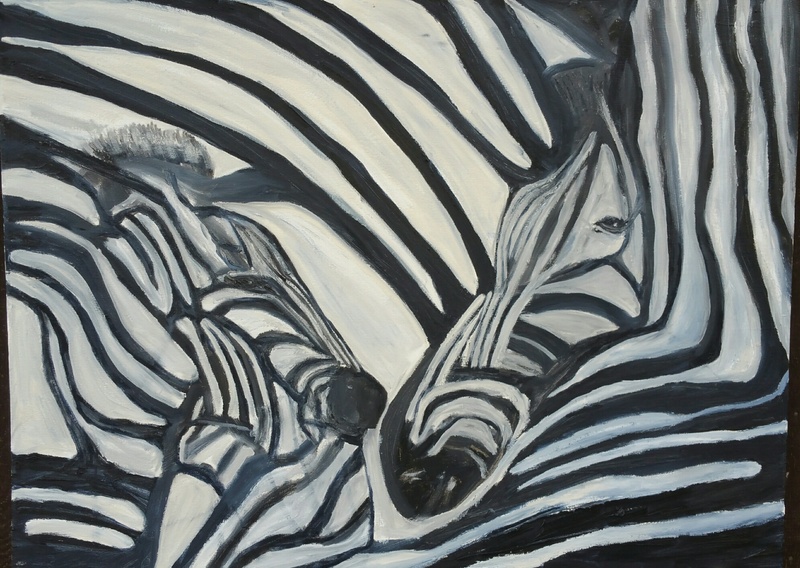 Been wanting to paint animals in movement and this picture caught my eye so I attempted to capture the movment as it was in the photo. It is oil on canvas 16×20 It is sold. Okay, I already wrote this and it was lost in the great divide called web space. 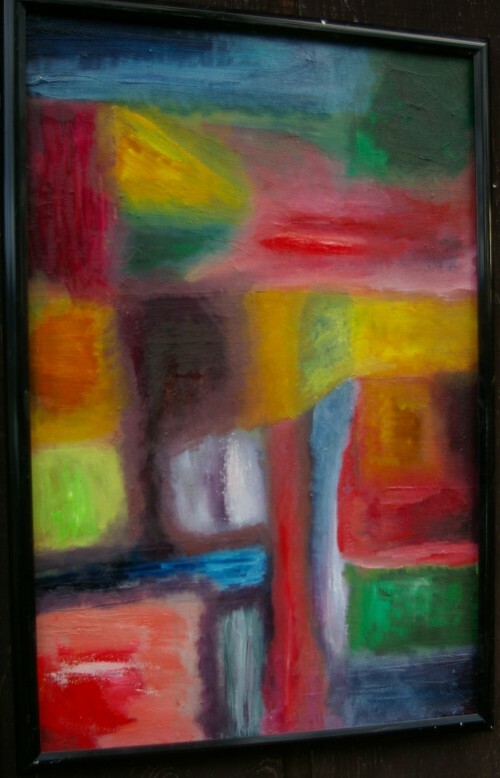 Most recent finished work is this abstract on canvas 20 x 30 inches. It is a exercise in color balance (not Fox kind) and value. One views abstracts by squinting…so they look like shapes one sees in a room after waking from a previous evening indulging in copious amounts of tequila. 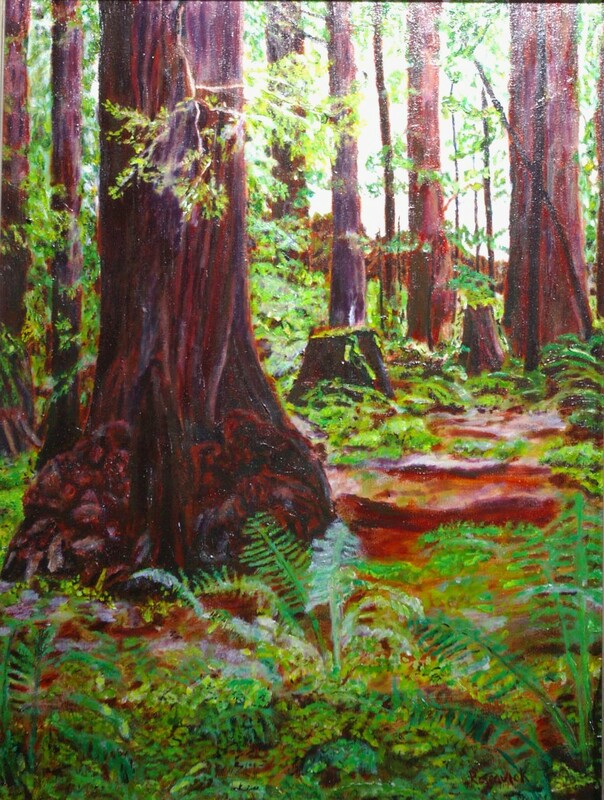 This is a custom redwood painting selected from one of my photos. There is something very special about Redwood trees, a soft quietness of nature. I grew up around redwoods and worked for a time in their presence, one can only feel honored to have had the opportunity. 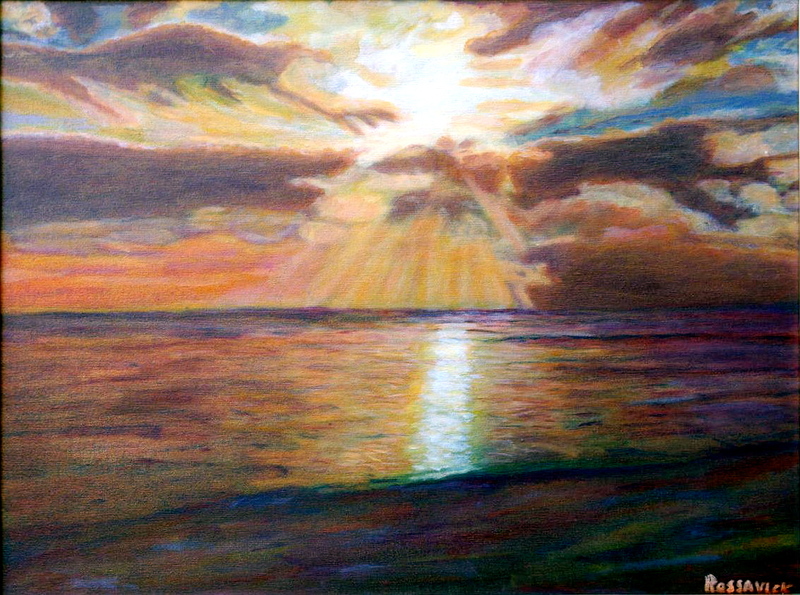 This oil on canvas was an exercise in dry brush technique. After seeing all the sunsets on Don Charismas site mine seems marginal, I did not place the palm trees in because it diversifies potential location. It was fun using the dry brush technique using medium and layering.